Just after Robert E. Lee Boulevard, the bus will turn left into the Lakefront Campus of the University of New Orleans (the university was renamed in 1974), where the battle for acceptance began one September morning in 1958. Disembark and look back up the lengthy road that leads to the bus stop. That's how far away Joseph Narcisse's classroom seemed when he caught his first glimpse of what stood between him and his education. He recalled the crowd’s jeers: “What you doing, n-----?” they demand. “Go home, n-----!” “My classroom looked like it was a mile away and that road seemed like a gauntlet,” he said. Oddly, the city's daily newspaper, pictured below, made no mention of these hostilities in its report on LSUNO’s opening. "happily free from...harassment" : New Orleans' daily newspaper, The Times-Picayune, delivers a rather lighthearted report of LSUNO's opening. ~ Source: The Times-Picayune, Sept. 7, 1958. 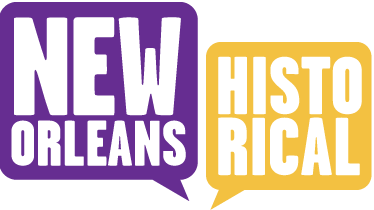 Becky Retz, “The University of New Orleans,” New Orleans Historical, accessed April 24, 2019, https://neworleanshistorical.org/items/show/812.